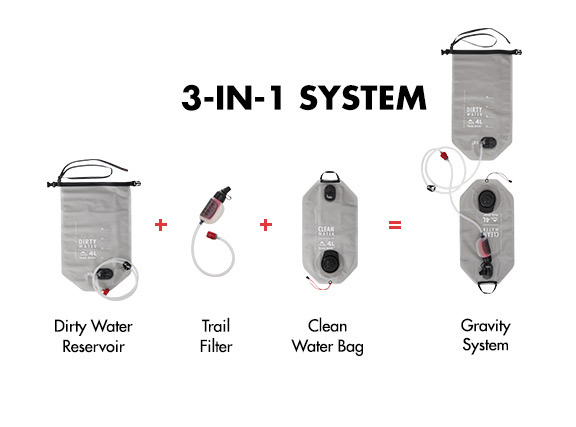 Yes, you can have gravity filtration at camp and a fast-and-light filter for the trail. That’s the multifunctional beauty of this water filter kit, which transforms from one filter mode to the other and back quickly and easily. Use the small trail filter on fast-and-light adventures. Then, at camp, simply quick-connect it into the gravity system for high-volume filtration. 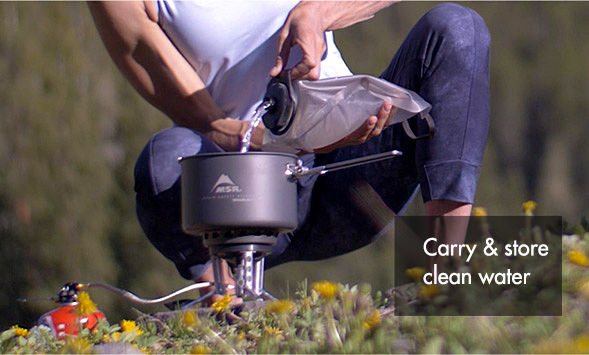 The kit also features an ultralight water storage bag, so you always have the clean water you need on demand. It features our 3-in-1 cap for easy drinking and pouring. The Trail Base filter uses hollow fiber technology that quickly and reliably removes harmful protozoa, like Giardia and Cryptosporidium, and bacteria, like Salmonella. 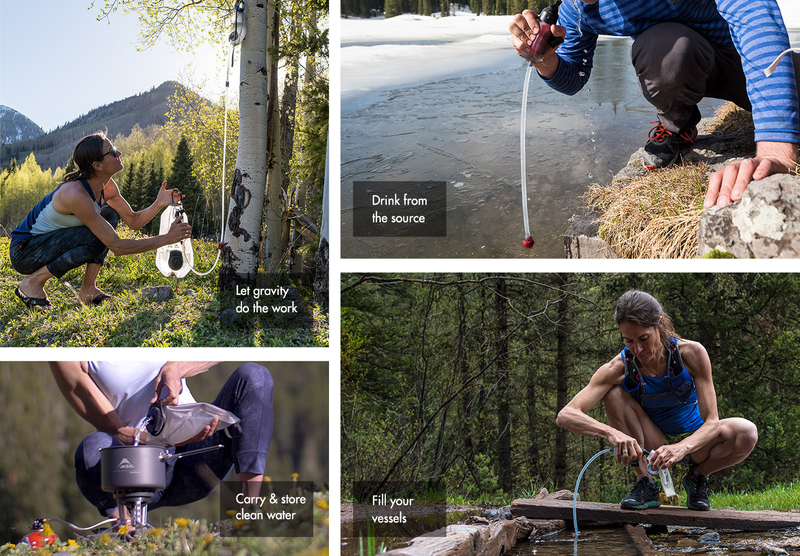 "Our testers loved this ultrapackable kit, which can be used to drink water straight from the source, or at camp for group filtering." "A versatile filter system with easy pump and gravity flow setups built right in. It could conceivably replace your filter, bladder hydration system, and a water bottle for many outdoor activities." Effective Against: Bacteria (99.9999%), protozoa(99.9%) and particulate. Hollow fiber filter meets U.S. EPA drinking water standards* and NSF protocol P231 testing standard. Versatile: Modular components allow system to quickly and easily transform from a 2 L and 4 L gravity system into a small trail filter and back. Simple Transitions: Trail filter simply quick-connects into gravity system. Complete Kit: Includes ultralight, durable clean water reservoir, which features our 3-in-1 cap for easy filling, drinking, and pouring.